We're all familiar with the saying that the tailor makes the man. Which means that a person's clothing determines the appearance of that person. And the same does, of course, also apply to the groom. Stronger still, the groom's presence at his own wedding can determine the look of the entire day, especially when it concerns a themed wedding. 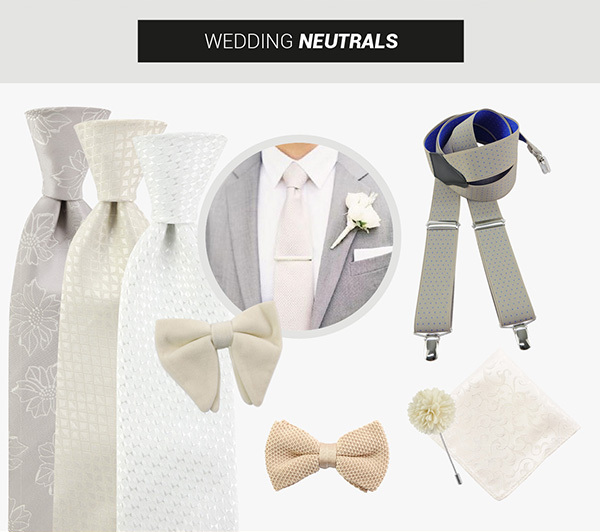 Say 'yes' in style without too much of a fuss but with neutral accessories such as a beautiful off-white silk necktie or a beige knitted bowtie. If you opt for a fresh look, go for white, beige or off-white. If you want to stand out a bit, pin a flower on your lapel and combine it with a pocket square. 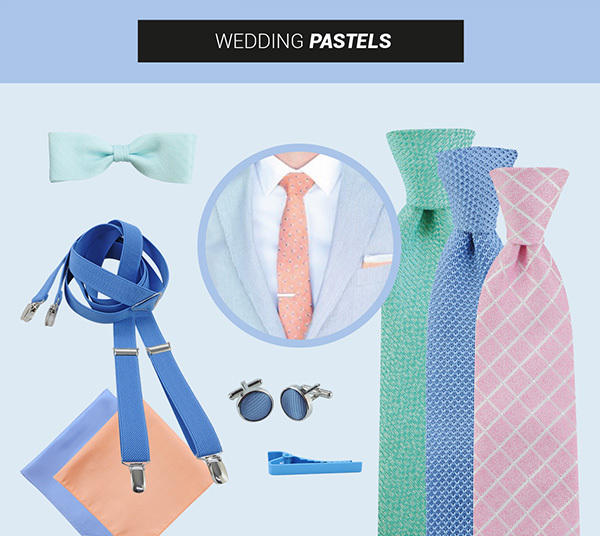 Go for a romantic style and opt for wonderfully soft colours such as sky blue, salmon or mint green. A necktie, plastron or bowtie will make your outfit beam with happiness. Alternatively, you could opt for braces for a slightly different look on your wedding day. You're young and excited! 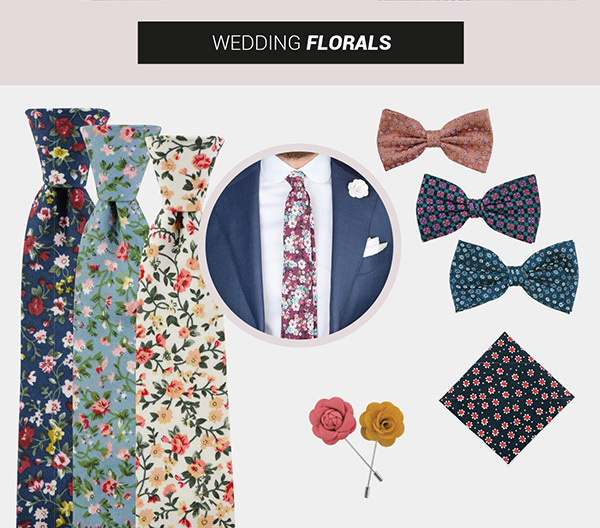 Dare to make a statement with your wedding outfit and opt for a striking, narrow floral; neck or bowtie, combined with a pocket square and a lovely flower pin on your lapel. Fresh and bright colours stand out and will make you beam! It's utter cheerfulness! It's your wedding day, after all.